Back in the day, if you didn’t feel like washing your hair, your only option was pouring baby powder on your scalp and hoping for the best. Case in point: I’m pretty sure I attended every single day of seventh grade looking like a greased-up Martha Washington. Then, dry shampoo hit the scene and completely altered second- (and third- and fourth-) day hair as we know it. But now, in 2019, there’s a whole new game-changing crop of between-wash stylers for those of us who would rather attend Ja Rule’s next music festival than wash our hair more than two times a week. Don’t get me wrong, I love good, old-fashioned dry shampoo as much as the next girl (maybe even more), but even I’ll admit that it has its limitations. Aside from the white residue it often leaves on top of your head (which, as we recently discovered, can be easily avoided if you hold the can eight to ten inches away from your scalp), not every situation simply calls for grease sopping. 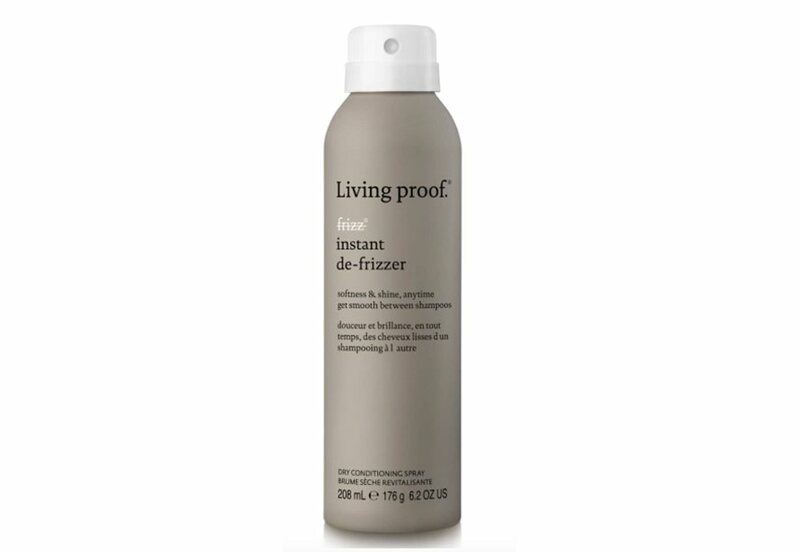 That’s why the best between-wash product for you depends primarily on your texture. 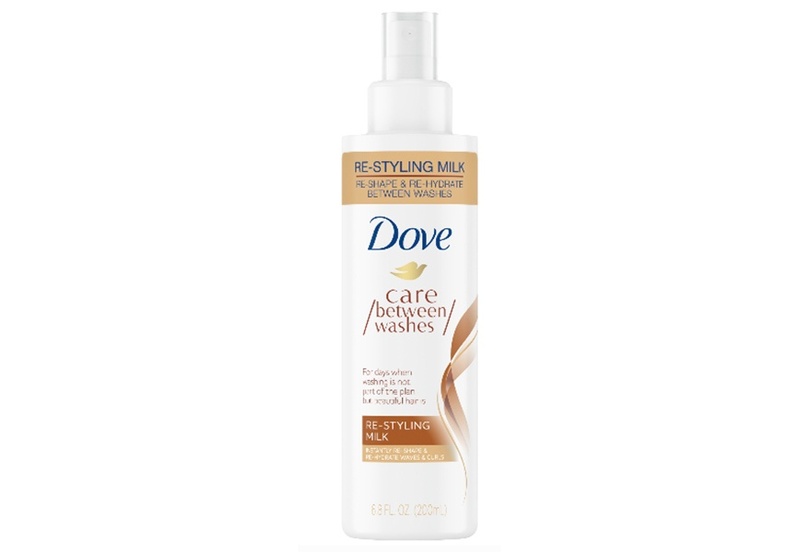 “Refreshing straight hair, where you just want to get a little volume in there, dry shampoos and powders are great,” says Dove celebrity stylist Mark Townsend. “It’s the exact opposite for girls with curls.” Because curlier textures tend to not have as much moisture (it me), the perfect between-wash products often depend on the thickness and curl type. Here, your stylist-approved guide for choosing exactly the right product to keep your hair looking fresh, no shower required. It may be scary to spritz fine hair with any sort of dry-styling product, but Townsend says that there’s nothing to fear. 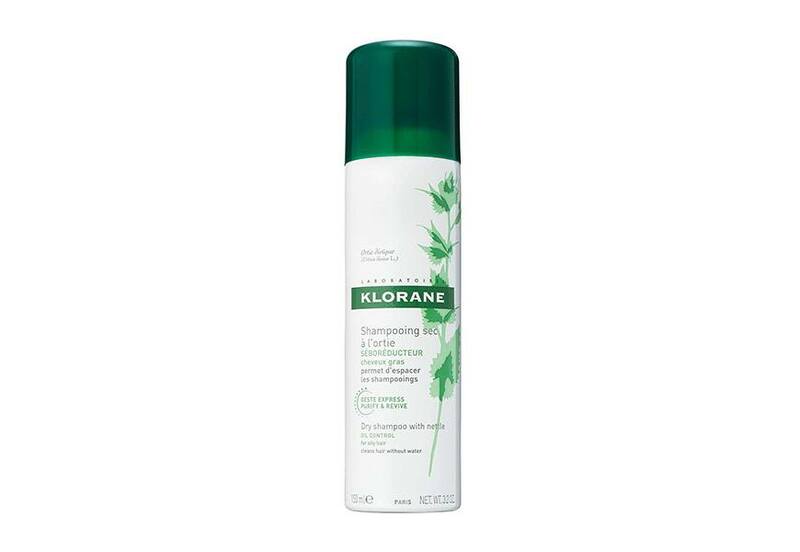 With fine hair—especially if it’s straight—a traditional dry shampoo is a great option, because it will add texture and volume to strands that may start to look lifeless after a few days. Start at the roots, holding the can a ruler’s length distance away from the head and spray to sop up grease. Do the same throughout the lengths if you’re looking to add texture and grip. Always finish by brushing through or even going over the handiwork with a blowdryer to make sure it’s all worked in. Waves lend themselves well to between-wash refreshes, mostly because they tend to look best when they’re messy (hello, beach vibes). While a spritz of salt spray has always been the go-to in this scenario, you’re really going to want to use a product that adds moisture back into your strands to keep them from looking straw-like on between wash days. Enter this restyling milk, which Townsend notes is also great for rehydrating coarse, thick hair. Type 4 hair tends to get drier, which is why washing it frequently may not be the best idea. With that in mind, you’ll want to use a product with a lot of moisture that can soak up any oils from the scalp while simultaneously keeping strands hydrated. 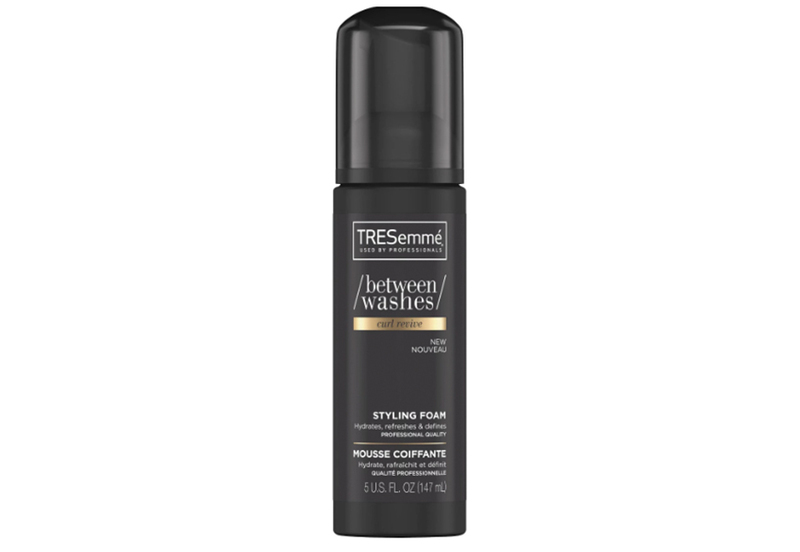 Tresemmé Between Washes Curl Reviving Styling Foam was specially formulated with exactly this in mind, and will give your curls some added oomph without making them crunchy. When you do finally decide to wash your hair, be sure to try one of these texture-friendly conditioners. And ICYWW, this $8 bottle of the stuff totally changed the way I wash my hair.